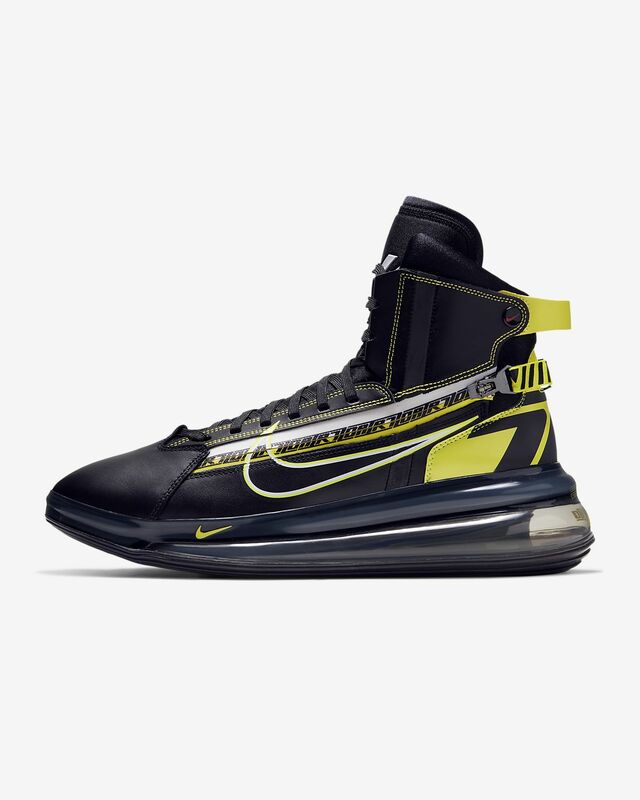 Inspired by the look and feel of heritage basketball, the Nike Air Max 720 SATRN QS ups the ante with Nike&apos;s largest Air unit to date for a striking visual and unparalleled cushioning. A side zipper makes them easy to put on and take off while delivering an additional element of customization. Super comfortable, the Saturn looks great and got a lot of attention from others on the court. Takes longer to put on because of all of the components but when on properly, these fit great too. Not as heavy as they might seem by their look. But the outside zipper on the right shoe pops open too easily. if you pull the zipper back to the original position towards the front of the shoe and then try to re-zip, the zipper still opens easily. Also, while the zippers are tied by the rear straps & mini-'buckle', the zippers tend to open up at the end pulls the strap as close to the shoe. There is no locking mechanism to keep the zippers fully closed. 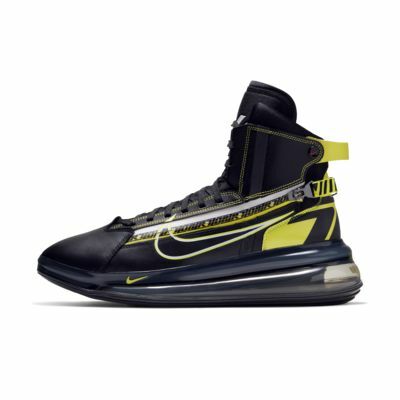 At first, these definitely look clunky, and the underfoot air unit is very thick. That said, the cushion is absolute money, while it is a massive wedge, the Air720 unit has a nice bounce and the support "inside" the air ring is very plush. This shoe has one of the best cushion set-ups I've ever worn. The overall assembly feels "involved" and these definitely have a bit of a "process" to get on foot. Between the zippers, buckle, buttons, and laces there is a lot going on. I found that loosening the laces generously, getting on foot, zipping the zippers, buckling them, buttoning the collar, and then lacing tight gave me ridiculous lockdown/security and haven't had issues with unzipping or unbuttoning so far. The ankle collar is incredibly well-padded, which is nice for a high top. Overall, I really like them. Understandably a polarizing shoe in terms of appearance and "complexity" of ingress, but on foot they're wonderful. No regrets at all.